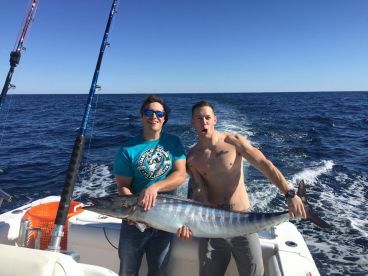 When you’re in the market for a high intensity chase and a massive trophy, it’s time for some offshore fishing in Myrtle Beach, South Carolina. Whether you’re casting lines 10 miles from shore for a delicious take-home trophy or trolling the Blue Water for your next biggest fish tale, you’ll find it here. You can enjoy great offshore fishing within just 10 miles of shore. 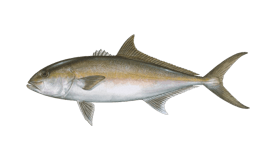 Bottom fishing near reefs will bring you Black Seabass, Spanish Mackerel, Porgies, and Sharks. Trolling these waters is a great way to catch Barracuda, Mahi Mahi, and more. Heading out slightly farther (15 to 20 miles) allows you to catch bigger fish, with the possibility of landing a few different species. Once you pass the 30 mile mark, offshore fishing takes on a whole new persona. The Gulf Stream runs roughly 30-50 miles from the coast, and this is where you can target gigantic bottom fish in addition to some of the most popular big game species. 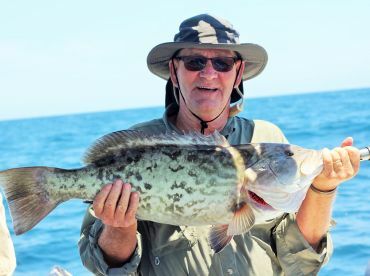 From March through November, you can enjoy reeling in massive Snapper, Grouper, Porgies, Grunts, Triggerfish, and Seabass. 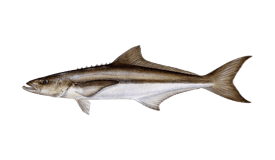 Trolling the surface will bring you Cobia, Barracuda, King Mackerel, and Mahi Mahi. For a feisty catch and some serious bragging rights, venture out to the Blue Water, anywhere from 60-80 miles offshore. In these saphire depths you will find Sailfish, Blue Marlin, Tuna, Wahoo, and Mahi Mahi, to name a few. 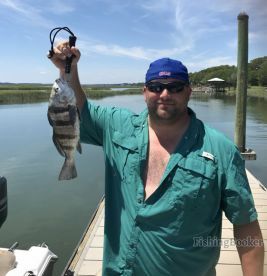 The peak season for these favorites also runs from March through November, and many Myrtle Beach fishing charters offer Blue Water trips during this time. You can have a great time fishing between 10 and 30 miles offshore in a single day trip (or even less). A nine hour trip might take you to the edge of the Gulf Stream, while a half day trip generally stays 10-20 miles from the coast. 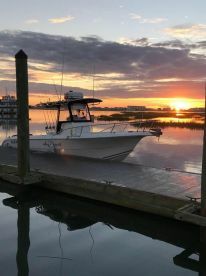 These trips can hardly compare to a true deep sea fishing experience in the Gulf Stream and beyond, but they are a great chance to dabble in offshore fishing without committing yourself to an extended day at sea. A full day trip costs around $900. You can also book a half day trip for $500-$600, or reserve your spot on a party boat for $40 per person. To get the most out of Myrtle Beach offshore fishing, you will need to book an extended day trip which lasts between 10 and 14 hours. In some cases, you may be able to reach the Gulf Stream in a nine hour trip. Trips to the Gulf Stream usually cost $1,450 and above. You should expect a trip to the Blue Water to last 12 hours minimum, for about $1,850. 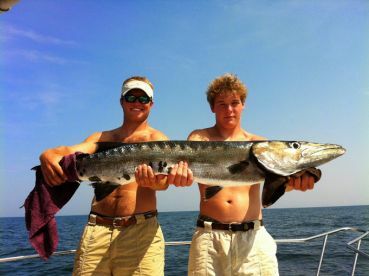 Offshore fishing in Myrtle Beach mostly involves trolling and bottom fishing. These deep sea fishing methods are tried and true, and you will find them especially rewarding here. 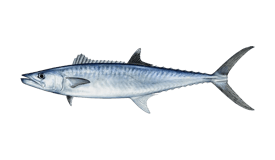 You can troll with live or artificial bait for all the pelagic species such as Barracuda, Mahi Mahi, Marlin, Sailfish, and Wahoo. 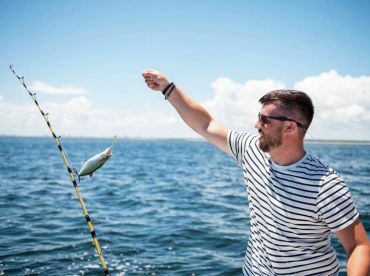 Local anglers rely on bottom fishing and vertical jigging for bottom dwellers such as Snapper, Grouper, Triggerfish, and Black Seabass.